Laminated chipboard, satellite pictures of planet Earth, insulation board, underlayment, paint. When I Wanted A Palace is an adaptation or set design created around Romancing The Stone (2017), it continues the search for romance in a modern day decor of mass-produced materials. 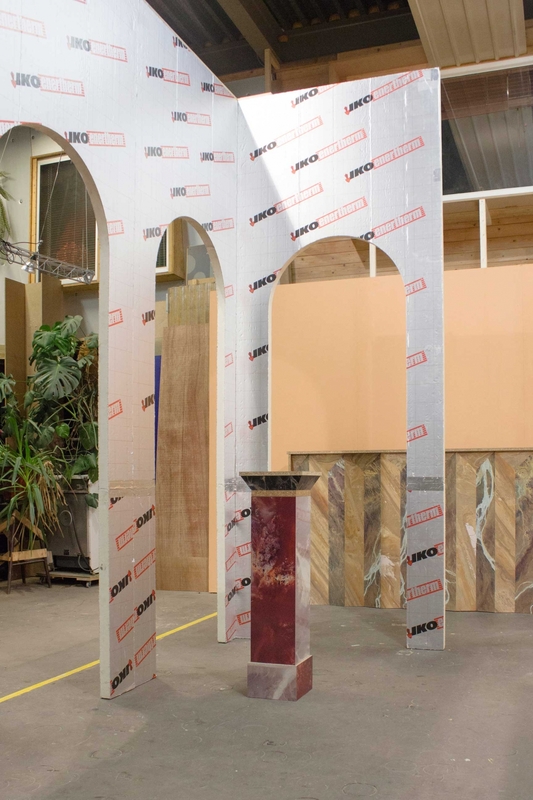 By using methods of scenography Bart Joachim tried to recreate the feel of a renaissance palazzo with a minimal use of materials. Like a poor man’s fantasy of a palace, a volatile image. The set was commissioned by London Design Fair and served as a central meeting point during the fair. Later it was rebuilt at the atelier for the Dutch Design Week.